Katherine Merck was named Miss Rodeo America after eight days of competition among 33 reigning state queens that included a horsemanship portion, a written test of rodeo knowledge and a fashion show. 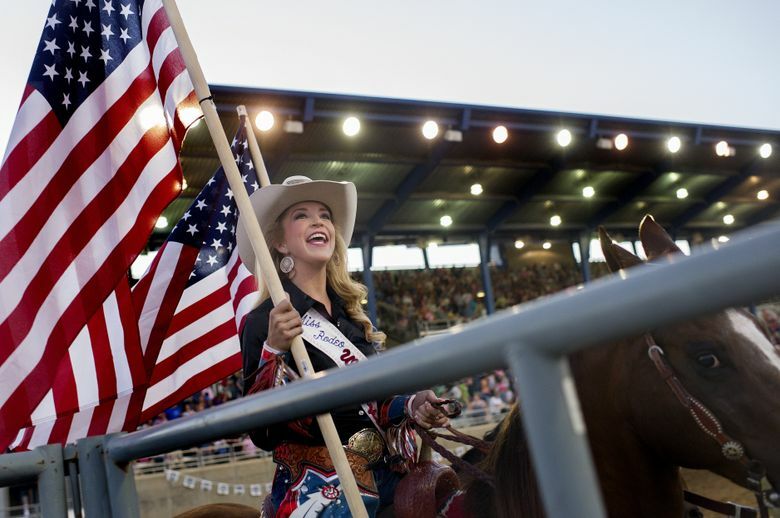 SPOKANE — A Spokane woman has become the first Miss Rodeo America winner from Washington state. The Spokesman-Review reports Katherine Merck, a Gonzaga University law student, was crowned winner of the competition Sunday in Las Vegas. The 25-year-old sported an emerald green lambskin dress and matching cowboy boots for the crowning ceremony in honor of her native state of Washington. The ceremony came after eight days of competition among 33 reigning state queens that included a horsemanship portion, a written test of rodeo knowledge and a fashion show. Merck also won a $25,000 scholarship, which she says will be used to pursue a master’s degree from University of Washington law school. She has said she wants to help farmers and ranchers with estate planning and water rights.